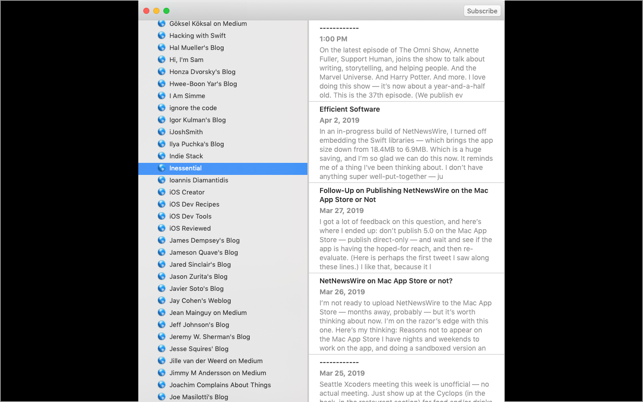 Feed Compass is an application that makes it easier to find and subscribe to RSS Feeds in your favorite RSS Reader. It is a companion app to an RSS Reader so you will want one of those to get the most from Feed Compass. Web RSS Readers are supported including Feedbin, Feedly, Newsblur, Inoreader, and The Old Reader.